Freestyle Skate with lightweight Fibreglass/Plastic-Boot und rockered Trinity 3-Wheel Frame. 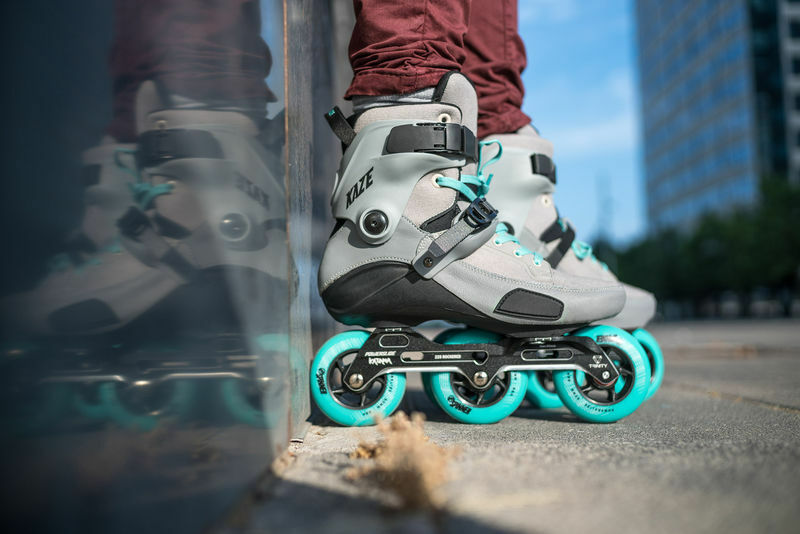 Bigger wheels make sitting tricks easier and allow you to lift your heel and toe higher. The management of the balance on one wheel is easier and you are also able to get a higher speed for your tricks. 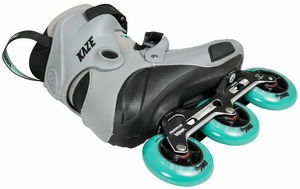 The Kaze 90 offers different rockering options which a regular 4 wheel skate can´t offer. You are enabled to rocker just one wheel or two wheels on your skates. 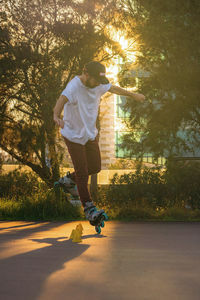 You can even rocker your left and right skate in a different way to optimize your freestyle skating! Attention! 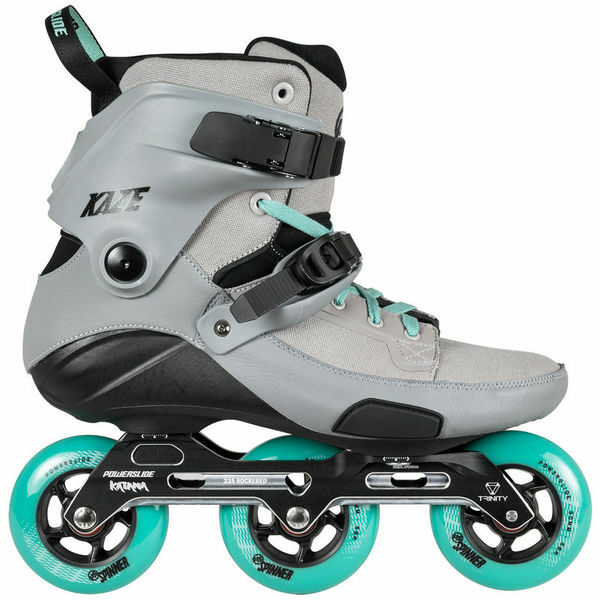 The length of the frame and the size of the wheels match the size of the skate.